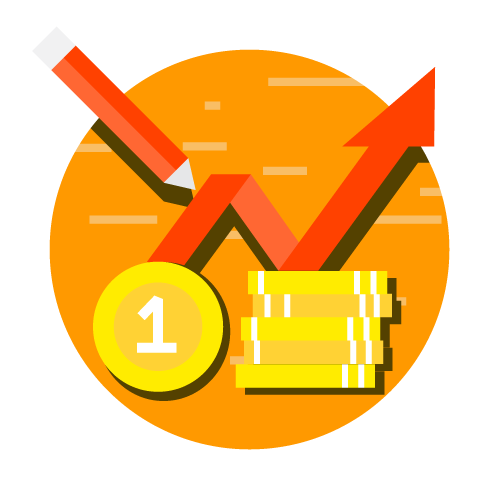 According to this method, we compare the total outlay of the purchaser (or total revenue, i.e., total value of sales from the point of view of the seller) before and after the variations in price. 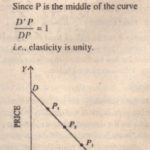 Elasticity of demand is expressed in three ways: (I) Unity (or unitary elasticity), (2) greater than unity, and (3) less than unity. Unity. It is unity, when, even though the price has changed. the total amount spent (total revenue of the seller) remains the same. The rise in price is exactly balanced by reduction in purchases, and vice avers. A rectangular hyperbola represents unity elasticity. Greater than Unity. 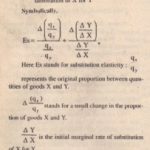 Elasticity is said to he greater than unity (i.e., the demand is elastic) between two prices, when. with the fall in price, the total amount spent (total revenue of the seller) increases or the tall amount spent (total revenue) decreases as the price rises. 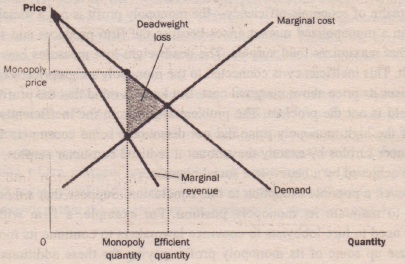 Le than unity, Elasticity between two prices is considered to be less than unity the demand is inelastic or less elastic) when the total amount spent (total revenue of the seller) increases with a rise in p rice and decreases with a fall in price. This will be clear from the following schedule. Luxuries and necessaries) to changes in their prices. For example, by this means we may find that the price elasticity for grosgrain. in general is 0.5, whereas for fruit it may be 1.5. This means that the demand for grosgrain less sensitive to price changes than demand for fruit. Food is a necessity of life and people must buy almost the same quantity, even if its price has risen. The consumer can, however, economist in fruit or any other commodity included in the family budget. . 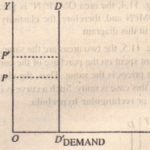 The elasticity of demand is always negative. although by convention it is taken to be positive. It is negative because change in quantity demanded is in opposite direction to the change in price. This is, a fall in price is followed by rise in demand, and vice bursa Hence, elasticity is always less than unless of course the demand curve is abnormal, i.e.. sloping upward from right to left. Strictly speaking, in mathematical terms, there should be minus sign before the figure indicating price elasticity. But by convention, for the sake of simplicity, the minus sign is dropped in economics.